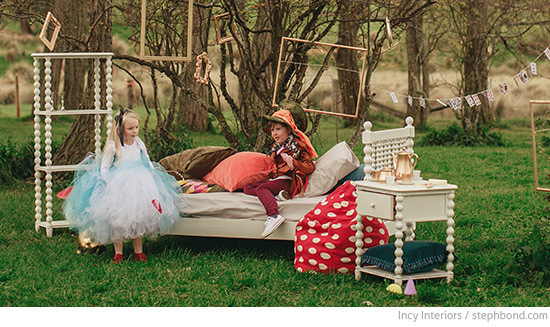 Bondville partner Incy Interiors specialises in beautiful designer furniture for babies and children. 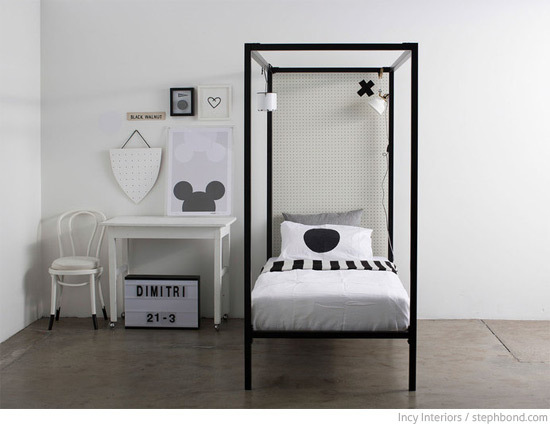 Incy has altered the children's bedroom furniture landscape in Australia with their collections, including the popular hospital-style metal bed frames in bright colours and metallics, the spindle range - customisable in a huge range of colours, the collaboration with bedding darlings Kip & Co, and the stunning modern four-poster range designed in collaboration with Megan Morton. We are so lucky that Incy Interiors is expanding their retail outlets from their current base in Bathurst to a brand new store at Chatswood Chase in Sydney, opening Friday 7th November 2014! Head to the store to see in person the range of children's furniture, toys, accessories, and bedding from partners. Lots of fabulous Australian brands that work so well together. To celebrate the new store, Incy Interiors is offering 20% off all stock across the store online and in-store until Friday 7th November. Get in quick to snap up a new bed or goodies from Kip & Co., Alimrose, Aura, La De Dah Kids, Love Mae, Have You Met Miss Jones, Milk & Soda and more!